- Leaves your baby’s hair perfectly clean with ultra-gentle cleansing action. - Easy to rinse, leaving the hair easy to comb. 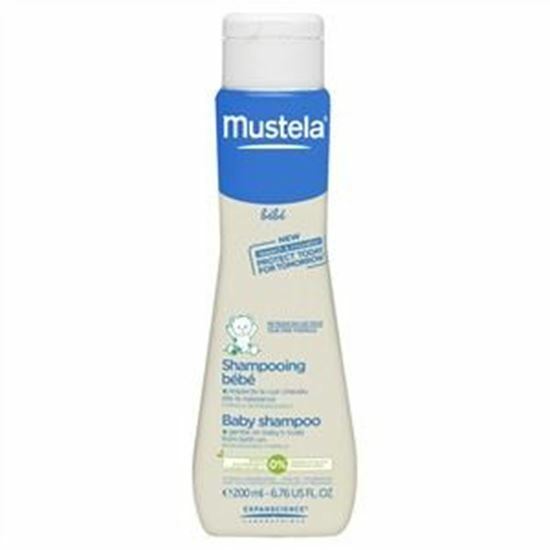 Thanks to its new formula enriched with Avocado Perseose®, a patented ingredient of natural origin, Mustela baby Shampoo reinforces the skin barrier and preserves the cellular resource. Wet your baby’s hair with lukewarm water. Apply a small amount of shampoo to baby’s hair, lather gently then rinse carefully.